Perhaps one of the most defining characteristics of a Northfield High School education is the excellent academic programming. Designed to meet the varied interests of our learners, the course curriculum at Northfield High School will challenge students to reach their full potential at every opportunity. 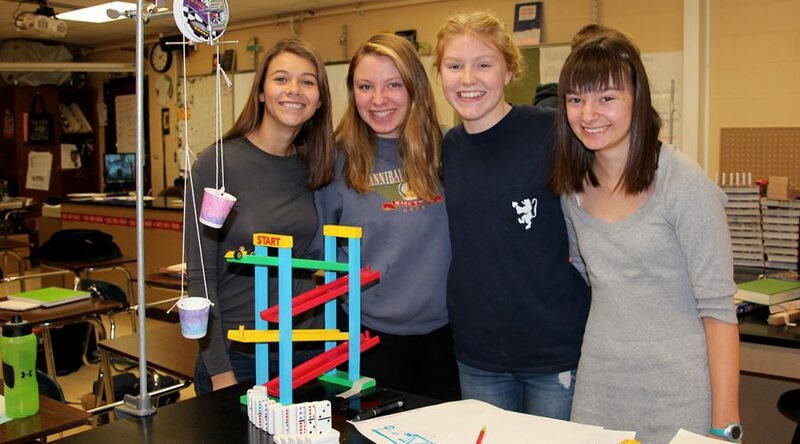 Students at Northfield High School choose from a wide array of courses, including art, business, English, family and consumer science, industrial technology, math, music, physical education, science, social studies, wellness and world languages (Chinese, French, German and Spanish). We offer 10 honors/advanced courses and 16 Advanced Placement courses, and our art and music programs have a longstanding tradition of distinction. A detailed schedule of your child’s day (including grades and assignments). The Northfield High School profile provides quick facts on our school, curriculum, grading system, graduation requirements, test scores, advanced/AP/honors classes, and the previous year’s graduation class. This document is sent with every transcript sent to post-secondary institutions as part of the admissions process. The Teaching and Learning Department is responsible for overseeing and supporting the K-12 curriculum that is implemented in every content area and in every grade level. Teams of dedicated teacher leaders work together to complete a formal review of each content area, studying trends and issues in the content area, identifying best-practice instructional strategies, conducting a needs assessment for our district, creating the curriculum frameworks that identify the content addressed at each grade level, developing formative and summative assessments that address expected outcomes, and identifying resources/materials that best support teaching the skills students are expected to learn. Guided by the district’s strategic plan and the annual goals of the district’s advisory committee, each of our schools and programs develops an annual Site Improvement Plan (SIP). The plan includes school-wide student achievement goals, school climate goals and action plans to support the achievement of each of those goals. Visit the district’s Special Services Department for more information. Students who have not yet developed academic English proficiency in their ability to speak, listen, read and/or write, may be eligible for English Learner (EL) Services. The mission of TORCH is to improve the graduation and post-secondary participation rates of Northfield’s minority students, low-income students, and youth who would be first-generation college attendees.